"The Untold Story of the Women Who Helped Win World War II"
Aired on Wednesday, May 22nd. On this edition of our show, we speak with the author and journalist Denise Kiernan, whose writing has appeared in The New York Times, The Wall Street Journal, The Village Voice, Discover, Ms., and many other publications. She's written a number of books for adults and children, and has also worked as a producer for ESPN, MSNBC, and other media outlets. Kiernan's newest book, which she talks about with us today, is "The Girls of Atomic City: The Untold Story of the Women Who Helped Win World War II." It's a fascinating group portrait of several women, now all in their eighties and nineties, who worked in the town of Oak Ridge, Tennessee, during the Second World War. This town had about 75,000 residents at that time --- its heyday --- and used more electricity than New York City. But to most of the world, the town of Oak Ridge (a/k/a "Atomic City") did not exist. Why? Because the many vast factories comprising this town --- tucked away amid the Appalachian Mountains --- were actually producing the "fuel" for the top-secret Manhattan Project. That is, they were churning out the uranium for the first atomic bomb. As a reviewer of "The Girls of Atomic City" has noted in The Boston Globe: "Kiernan...brings a unique and personal perspective to this key part of American history.... Instead of the words of top scientists and government officials, [she] recounts the experiences of factory workers, secretaries, and low-level chemists [who were] trained not to talk about what they knew or what they did. She combines their stories with detailed reporting that provides a clear and compelling picture of this fascinating time." And further, per a critic for Kirkus Reviews: "[This is] fresh take on the secret city built in the mountains of Tennessee as part of the Manhattan Project during World War II.... An inspiring account of how people can respond with their best when called upon." "Into the Belly of the Beast: The Southern Arm of the Underground Railroad"
Our guest on this installment of ST is Richard Blackett, the Andrew Jackson Professor of History at Vanderbilt University, who joins us by phone. 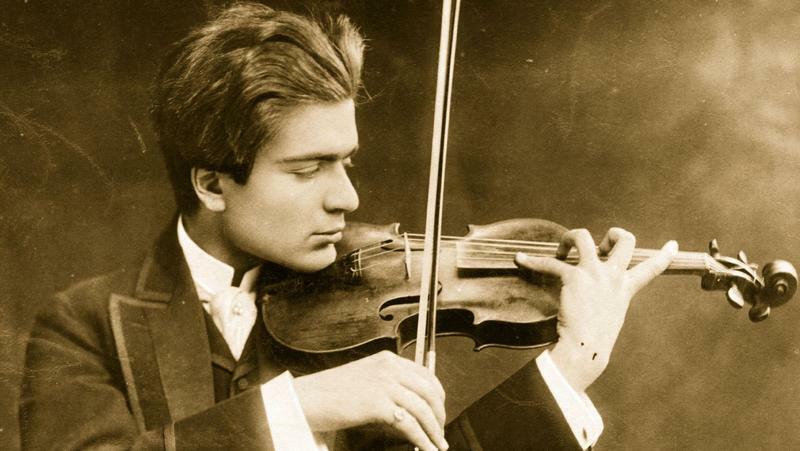 The roll call of great 20th-century violinists includes so many incredible Jewish artists: Jascha Heifetz. David Oistrakh. Mischa Elman. Ida Haendel. Isaac Stern. Yehudi Menuhin. Itzhak Perlman. "The Real Story of America's Servicewomen in Today's Military"
Today on ST, we speak by phone with the author and journalist, Tanya Biank, whose book, "Army Wives," is the basis for the popular series of the same title on Lifetime TV. Biank is also the daughter, sister, and wife of U.S. Army colonels, and during her days as a newspaper reporter, she traveled around the globe with American soldiers. Biank's new book, just out, is called "Undaunted: The Real Story of America's Servicewomen in Today's Military" --- and this is what we're discussing with her on our program. Given the decision, announced one week ago, by U.S.